Here’s a 64,000-euro question – which bar in Dublin serves the best pint of Guinness? Luckily, you don’t have to give me 64,000 big ones – I have selflessly been and gone to Dublin to check out the contenders, and bundled the winners all together in a nifty little video. Check out my absolute personal favourites below, and let me know if you think I’ve missed any. It’s not like I need a good reason to go back to Europe’s most exciting drinking city, but it’s good for a man to have goals. Anyway, here you are – all set for the next time you’re in Dublin. And, as they say in these parts – Sláinte! One of the oldest pubs in the city, with a proper Victorian boozer’s interior – when stained glass, chandeliers, mirrors and mahogany panelling was deemed just the right kind of décor for the working man to enjoy his drink in. Lovely old pub, lovely pint. Push your way through to the back bar – and you will have to push – and treasure a drop of Guinness under a stained-glass skylight, surrounded by portraits of Dublin’s literati from bygone days. A friend put me on to Grogan’s – full of shabby dodgers, he said, and writers and artists, and people pretending to be writers and artists. And for Chrissake, don’t look too longingly at any of the art on the walls, he added, they might try and sell you it. But have a toastie, they’re great. And the Guinness is top drawer. Right on all counts, good call. A grand place for a few scoops – yet another glorious Victorian interior of burnished wood, granite, marble and mirrors. Also a good place to catch some traditional story-telling and music sessions. They say “Guinness. Horses. Music. Craic.” Who can resist? (There are no actual horses you understand. It’s horse-racing on the telly. Just so you’re not disappointed.) It’s opposite the Stag’s Head, so if you can’t get in one you can try the other. Or both. Or stand on the pavements between the two with hundreds of other people, drinking perfect Guinness. Loved the list! I have to try out Grogans its not too far from me. Im starting a blog myself, trying to find the best Coffee shops in the city. Glad you like the choices I made! And I like the idea of a Dublin coffee shop blog, so I’ll keep an eye on how it goes. Good luck! 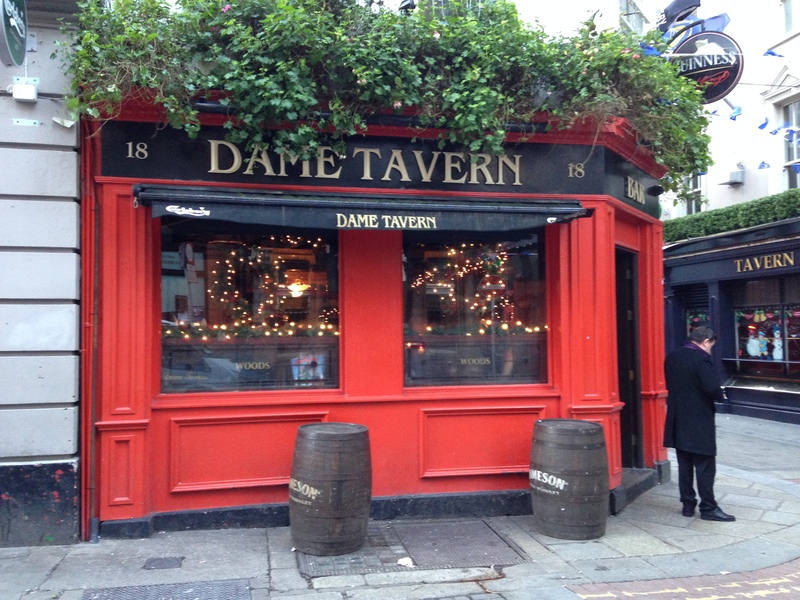 Great timimng – Just planning a trip to Dublin! Lucky you! If you’ve got time for the Guinness tour, that’s also really worth doing. Great rooftop bar there too!